Creative Materials introduces 127-50, a new electrically conductive/resistive hydro-active ink and coating. CNTs have been making a quiet comeback and have now indeed entered a phase of volume growth, as analysed in the new IDTechEx report Graphene, 2D Materials and Carbon Nanotubes: Markets, Technologies and Opportunities 2018-2028. Ralph Lauren and the United States Olympic Committee have unveiled the opening ceremony parade uniforms for the 2018 US Olympic and Paralympic Teams, introducing a unique wearable heat concept, seamlessly integrating fashion and the latest in apparel innovation. 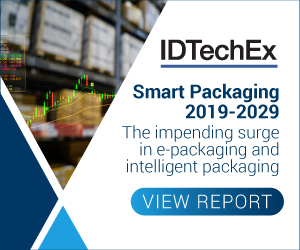 This new report by IDTechEx provides the most comprehensive and authoritative view of the conductive inks and paste market, giving detailed ten-year market forecasts segmented by application and material type. The conductive inks and paste business has come alive again. In this article IDTechEx Research will explain this business in detail and will describe how and why everything is changing. Wearable technology in 2015 - how far have we come? As the hype around wearable technology fades, IDTechEx technology analyst James Hayward looks at where the industry is now. 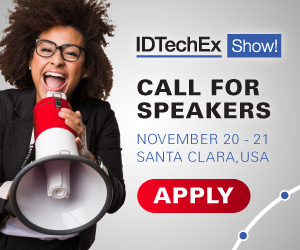 IDTechEx are hosting a free webinar. Conductive inks are a simple and unglamorous layer but they will constitute a hefty $2.86 billion market in 2012.